One could say that Phu’s rise began (as the son of Vietnamese immigrants) when he worked at some the finest dining establishments in America- Acquerello, Daniel and Chez Paniise, for instance. But on returning home to Oakland and cooking again in his family home, Phu realized that his mother was an equal inspiration as well as a repository of valuable information, especially when it comes to not wasting food. During the Vietnam War, when supplies were rationed, she learned out of necessity that corn silk could be dried and used as tea or toasted, deep-fried, or sautéed to serve with rice. Chef Tu David Phu is a first generation Vietnamese-American with a rich culinary background. An alumni of highly regarded kitchens (such as: Daniel, Acquerello and Chez Panisse) his cooking reflected a wide range of cooking cultures - from the American culinary greats to classical European traditions. But his roots were quite different. His family hails from the Island of Phu Quoc, accredited as the birthplace of fish sauce in Asia. Consequently he has family roots in Award Winning Fish Sauce Production, Hung Thanh 1895. Pilgrimages back to Vietnam were often. After a decade of cooking, he began to immerse himself in the practices, ingredients, techniques, and flavors of Vietnamese cuisines. Revisiting his favorite childhood dishes through the memory of taste, he started to cook the cuisine of his Mothers' generations-old wisdom handed down grassroots-style. 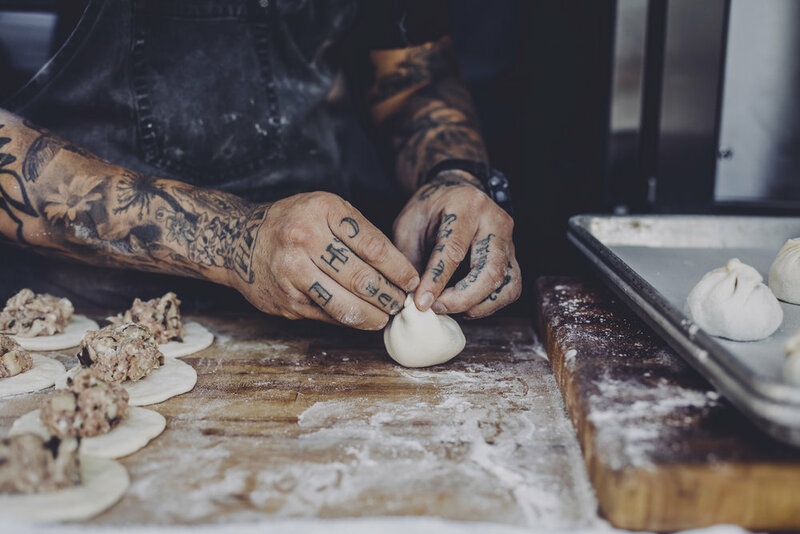 In 2016 he began garnering press and accolades with his weekly pop up dinners “ANAVDE - A Vietnamese Dining Experience.” San Francisco Chronicle named him 2017 Rising Star Chef and most recently a featured contestant on Bravo's Top Chef Season 15.